The South Carolina Alliance to Fix Our Roads (SCFOR) is pleased to announce that Jennifer Patterson has been named Vice President & COO. Jennifer will be responsible for handling the day to day operations of SCFOR; managing our governmental relations program; maintaining our social media and public education efforts; and fostering relationships among our members and ally organizations. Jennifer brings with her more than 10 years experience working with a non-profit trade association. 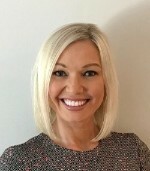 She began her career with the South Carolina Trucking Association and over the years she has handled member services, outreach and has spent the past five years working as one of the association’s registered lobbyists in addition to managing advocacy efforts, publications, and communications. She holds a Master of Public Administration degree from the University of South Carolina as well as a Bachelor’s degree from the same alma mater. We believe that Jennifer’s experience, professional relationships, and fresh perspective will be invaluable to the organization as we move forward to maintain our coalition, educate the public, and continue to promote South Carolina’s transportation infrastructure needs.